Dominica passport: advantages of the second passport, cost of the Dominica citizenship and time. For those, who are looking the possibility to obtain a second citizenship and passport, will be interesting to learn about how it is possible to get the Dominica citizenship and what are the advantages of the Dominica passport. Dominica is a paradise island with untouched nature, a pleasant tropical climate, fresh and healthy food, tranquil pace of life and friendly people. If you want to escape from the worries and bustle of big cities, retire and to be close to the nature — this is the perfect place to live. Dominica is a political stable country, which is not involved in any international conflicts and Dominica citizens can safely and easy to travel around the world without attracting anyone’s attention. Dominica citizenship allows to move freely throughout the world: over 110 visa-free countries or to obtain a visa on arrival, and to travel to others it’s required just go through a simple process of obtaining a visa. Crossing borders with the Dominica passport is much easier than the citizens of other countries under the scrutiny of the world community. to all the countries of the Schengen zone: Austria, Belgium, Croatia, Czech Republic, Denmark, Estonia, Finland, France, Germany, Greece, Hungary, Iceland, Italy, Latvia, Liechtenstein, Lithuania, Luxembourg, Malta, Netherlands, Norway, Poland, Portugal, Slovakia, Slovenia, Spain, Sweden, Switzerland. to other European countries: Bulgaria, Cyprus, Romania, San Marino, Vatican City — for 90 days, United Kingdom — for 60 days, Andorra, Ireland, Monaco. members of CARICOM: Antigua and Barbuda, Bahamas, Barbados, Belize, Grenada, Guyana, Haiti, Jamaica, Montserrat, Saint Kitts and Nevis, Saint Lucia, Saint Vincent and the Grenadines, Suriname, Trinidad and Tobago – up to 90 days without visa. Panama — for 180 days, Aruba, Costa Rica, Curacao, Sint Maarten — for 90 days, Guadeloupe, Martinique, Saint-Barthelemy, Saint-Martin — for 15 days, Dominican Republic — for 30 days, Cuba — for 28 days. Caribbean Netherlands (Bonaire, St. Eustatius and Saba), and visa on arrival to Nicaragua. to many South American countries: Brazil, Colombia, Guyana, Ecuador, Peru, Venezuela, and visa on arrival to Bolivia. 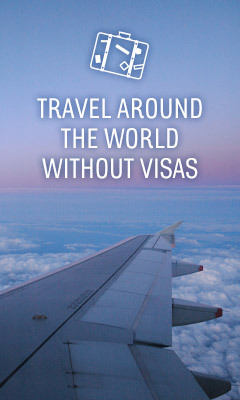 to Asian countries: Hong Kong, Indonesia, Israel, Jordan, Korea, Malaysia, Singapore, Philippines, and visa on arrival to Armenia, Bangladesh, Cambodia, Iran, Laos, Maldives, Nepal, Sri Lanka, Timor-Leste, Turkey. to African countries: Botswana, Gambia, Kenya, Lesotho, Malawi, Mauritius, Swaziland, Zambia, and visa on arrival to Cape Verde, Comoros, Djibouti, Egypt, Guinea-Bissau, Madagascar, Mauritania, Mozambique, Seychelles, Somalia, Tanzania, Uganda. to Oceania countries: Fiji, Micronesia, Vanuatu, and visa on arrival to Palau, Samoa, Solomon Islands, Tonga, Tuvalu. Full list of visa-free countries with the Dominica passport. Dominica passport can be used as an effective tool for a financial and business optimization. Dominica citizens, who are residing outside of the country, are exempt from the income tax from abroad capital gains or inheritance, from the need to submit any report or declare the overseas income. How to get citizenship of Dominica. To live in Dominica (without breaks in the visa) for 7 years and then apply for Dominica citizenship, which can be considered from 3 to 5 years. Total: about 12 years. To get the citizenship by the official investment program of Dominica Government — in about 3 months. The cost of Dominica citizenship. The procedure for to obtain Dominica citizenship simplified to three steps for the applicant: collect all necessary information and documents, transfer the investment amount, take the oath and receive the certificates of naturalization. More information about the procedure to obtain Dominica citizenship. It has been created two investment options: invest in Dominica real estate or easy transfer the investment amount to the account of the Dominica Government. The cost to obtain the Dominica citizenship has increased by 30-50%, but it still remains the most economical in the world at the present moment. You can find the relevant information on all costs to obtain Dominica citizenship by Investment program. There is a proverb in the Bible. Having heard the Lord, a holy man constructed a ship beforehand, thus he saved himself as well as his nearest and dearest during the horrible deluge. Those who do not believe in God consider this to be a foolish fairy-tale about the Deluge and adduce compelling arguments of scientists who state that there could never exist any possibility of such a flood; but the religious are aware that it is the faith in God that the proverb is dedicated to, and it is necessary to trust in God but not in scientists, and to follow the signs He makes. On September, 27 in Italy seven seismologists were committed to trial. The corpus delicti was as follows: in the city of Lâ€™Aquila there was some seismic activity and people, panicking, wanted to leave their homes and spend the night in tents. The Advisory Council that consisted of the scientists reported to the government that the earthquake shocks â€˜hardly point to substantial eventsâ€™. Thus the population was calmed down and decided to sleep at homes that were leveled to the ground at night; more than 300 people were killed. The seismologistsâ€™ attorneys for the defence and many representatives of the Italian and even European scientific community have already claimed that the court of Lâ€™Aquila decided â€œto try scienceâ€. As the representatives of the defence state, it was impossible to accurately predict such a major earthquake even in the earthquake-prone region. More than 5,000 seismologists stood for their colleagues and sent the open letter to the Italian President Giorgio Napolitano. As well as the attorneys for the defence of the accused, they stated that science didnâ€™t possess any universal method of predicting earthquakes in such short terms. On October 19, 2004 the warning about forthcoming high likelihood of the major earthquake in the Indian Ocean was sent to the Indian Embassy by the group of Russian scientists. There was no reaction from the Indian Embassy. In mid-October the Russians resent the warning: the earthquake would strike at the near future. And again there was no reaction. And in two weeks after that, on December 24, 2004 the greatest catastrophe in the contemporary history unfolded in the Indian Ocean. From a quarter to half â€“ million people were killed throughout all the coasts of the Indian Ocean, from India to South Africa: the unwarned population collected seashells at the uncovered bottom of the ocean with no worry â€” before the tsunami the bottom always gets uncovered. There was only one beach where a girl who had read something about this fact gave the alarm, and the people from that beach rushed away and thus saved themselves! Thereâ€™s no use commenting on this situation. The unconcern did the population a bad turn: tsunamis hardly ever occur in the Indian Ocean. And it was possible to take the warnings from the Russian scientists seriously or not, but still, it was well worth checking if the misgivings did have some base. But tsunamis, as a rule, occur because of the tectonic plates shift and the scientists were aware of the fact that the fracture goes along the bottom of the Indian Ocean as well as the same ones in the Pacific Ocean that always cause tsunamis. Thatâ€™s why the shift in the Indian Ocean was inevitable. So, it was really possible just to explain to the population elementary nature laws which are known to any Japanese person. For example, if the bottom of the ocean gets uncovered or animals run away from the coast, that may be a bad omen! And now letâ€™s stick to the point. Â«A collapsing volcano in the Atlantic could unleash a giant wave of water that would swamp the Caribbean and much of the eastern seaboard of the United States, a scientist has claimed.Â» The essence of the matter is that after the collapsing of the local volcano the island La Palma in the Canaries has fractured and now there is a 4 metres long cleft; that is why the western part of the island may slip down into the ocean at any moment thus causing a giant wave Â¾ miles high. In 5 or 6 hours the wave would hit the coasts of the Caribbeans and America, wiping everything off 10-15 km deep into the continent. Scientists do not know when it’s going to happen. But, from July 14 this year to mid September the Canaries have suffered more than 6, 000 earthquake shocks â€” that amount is observed for the first time there. Scientists havenâ€™t predicted anything and no one knows how that would influence the stability of the island. La Palma like the sword of Damocles hangs over the Caribbeans. If the situation on the Canaries is properly monitored, then there will be enough time to save everybody! Thus, the Russians who got the Kuriles from Japan after the Second World War then lost in 1952 about 5,000 people when the tsunami hit the islands coasts. During 50 years after these events tsunamis hit the islands more than 10 times and only one (!) person was killed. As the Russian proverb says, â€˜caution is the parent of safetyâ€™. And the Russians also say, â€˜God helps those who help themselvesâ€™. That means that if Noah had relied upon God and had done nothing, he would have drowned. But he did the other way round and began to construct the Ark. The question is: what are we going to do? An episode of House Hunters International filmed in Dominica at the end of March 2011 is scheduled to be aired on HGTV on August 28, 2011. The episode features a couple Andy and Fiona who uproot their family from soggy London to the pristine Nature Isle of Dominica. In the episode the couple visits three properties chosen by the producers from properties on the market. During the episode, idealistic Fiona and penny-wise Andy quickly learn that even tropical paradise has its harsh realities. Will Fiona and Andy be willing to wipe their life savings clean for the Caribbean house of their dreams? Or will the budget war of attrition result in a plane ride back to the England? Find out, when House Hunters hits the shores of what HGTV refers to as the wildest isle of the Antilles – Dominica! This is the first HGTV episode filmed by in Dominica.